The Securities and Exchange Commission announced the appointment of its first Chief Risk Officer (CRO) on Thursday evening. 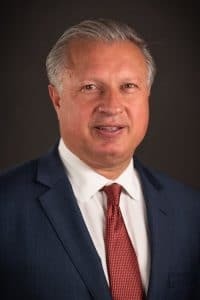 Gabriel Benincasa, a lawyer with an array of experience at different financial institutions, will replace acting CRO Julie Erhardt. Most banks and other financial institutions are, of course, required to have some form of CRO. With growing regulatory scrutiny and massive fines for infringing upon compliance rules, the importance of the CRO role has been growing since the financial crisis took place a decade ago. Thus, it’s not too surprising to see a regulator, especially one as respected as the SEC, appoint its own CRO. It was Jay Clayton, the regulator’s Chairman, who decided to create the position. “Establishing the [CRO] position at the SEC is an important step forward in our continuing efforts to strengthen the agency’s risk management program,” said Clayton. According to a statement released by the regulator, Benincasa will be advising other executives on enterprise risks and controls. On top of that, he’ll be attempting to bolster the SEC’s cybersecurity efforts and identify, and defend against, any other risks facing the regulator. Erhardt, who had been acting CRO as the SEC looked for someone to take the position, will remain with the regulator. She will return to her prior position as Deputy Chief Accountant for Technology and Innovation.